The Lindy Hop All-Stars brand Sneaker Bags are the new trendy shoe bags that are great for carrying your extra pairs of shoes, change of clothing and personal knick knacks. 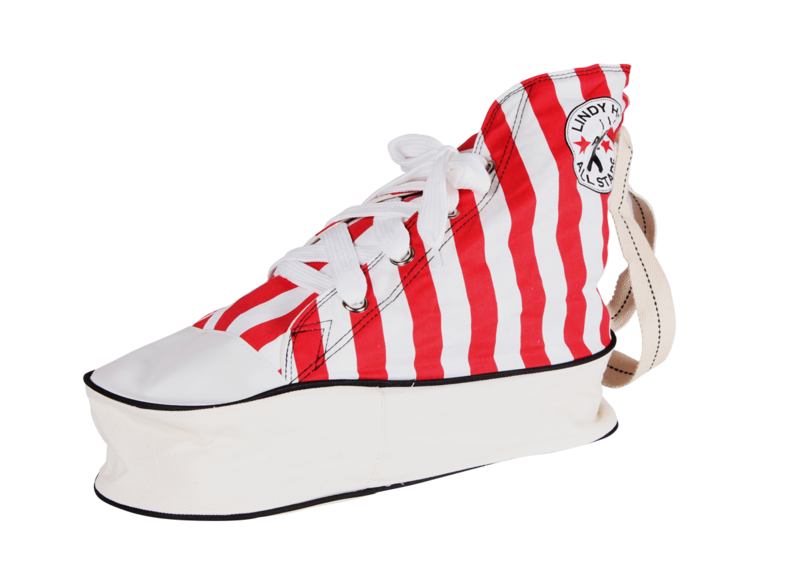 Available in red and white wide-striped! The Lindy Hop All-Stars brand Sneaker Bags are the new trendy shoe bags that are great for carrying your extra pairs of shoes, change of clothing and personal knick knacks. The canvas fabric along with the heavy duty shoulder straps are 100% Cotton. They are durable and can last you years of use. Our logo features both current and former Lindy Hop All-Star dance couples. Limited runs have been released with these varying dance images, thus making each bag a COLLECTORS ITEM. The bags can fit between 1 - 5 pairs of shoes or sneakers depending on the size so they are a top choice for dancers both young and old. 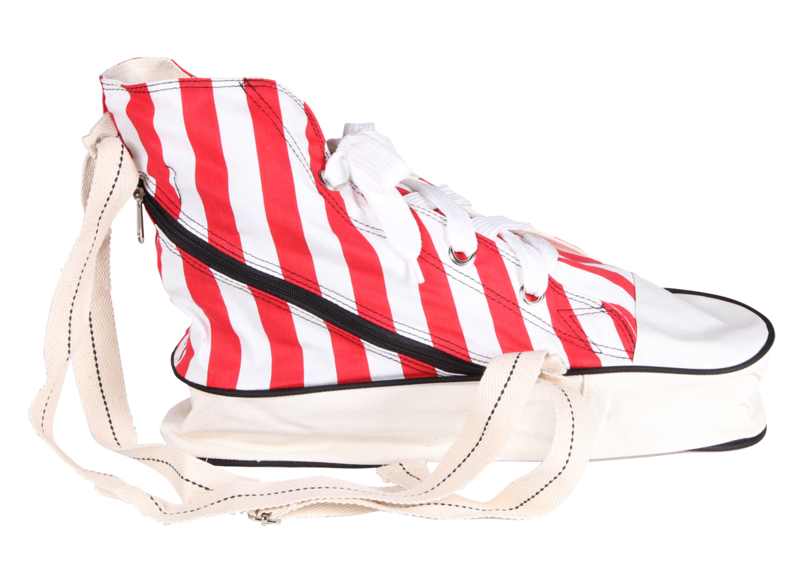 Available in red and white wide-striped! Dimensions: 17 x 14 x 7 inches (Length x Height x Width) Material: main body (cotton - canvas), toe area - (rubber) Style: Shoulder Bag/Vintage Sneaker Shaped 100% Satisfaction Guaranteed!